Miss Kittin is an artist who needs no introduction. Already an established artist in the house and techno scene for almost two decades, she has brought her one of a kind voice to countless solo projects and collaborations over the years. That combined with her elegant DJ sets played on every continent in the world have instilled her as a tour de force in club land that not many artists can say they have achieved. 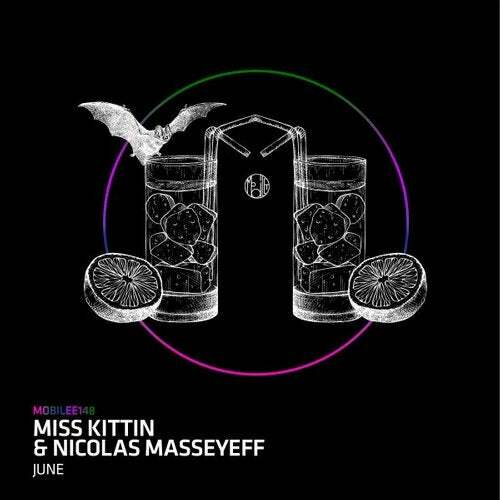 Now Miss Kittin returns to Mobilee as part of the ten-year anniversary celebration with a fresh EP with Nicolas Masseyeff titled "June." The southern French guy is a longtime pal of Miss Kittin, famous for his vast studio talent and sound signature, having previously released on other internationally acclaimed labels such as Suara, Tsuba and Noir among others. The four-track EP features three brand new tracks and two dubs of the title track. Each track is crafted perfectly for the dance floor. Simplicity meets groovy emotional feeling. With Miss Kittin's unmistakable voice the duo brings out the best summer vibes with uplifting melodies that will bring summer ravers together for a time of joyous celebration.